Should you return the product, please note that the shipment costs are yours. After the goods have been returned, we will send you a credit note and restitute the payment of your order, including initial shipping costs. The product must be undamaged and returned in its original state. If this is not the case, the right of withdrawal will be forfeit. If you've received a wrong or damaged product, please contact us as soon as possible. We will then arrange return shipment. 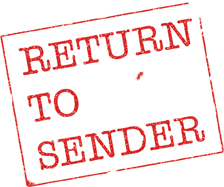 Trial orders have other conditions for return shipments. Please refer to the FAQ or contact us if you have any questions.